Quality and use are essential considerations when shopping for the right holster. It should not only look good but function each time as expected. It should also be comfortable to wear for an extended period of time. The G Code holsters product line provides reverse engineered holsters from custom hand-made models utilizing CAD and CNC technology. The result is a perfect fit and function. Best of all, G-Code holsters are affordable, adaptable and come in a variety of colors and camouflage with a fit and finish second to none. For those that need a holster that can take heavy use yet features a modest price, the Modular Kydex G Code Holsters may be the perfect match. This precision formed OSH series has a folded wrap design and comes in a variety of colors and finishes. It also features a screw to adjust the tension. With the adapter (that can be purchased separately) it can be moved from shoulder to waist quickly. This is especially important for those that prefer wearing their weapon at their shoulder while driving but opt for a waist holster when standing and walking. One can also order it with various mounting options such as the multiple position paddle and shirt guard. Simply by adjusting the screws and slots in the back of the paddle the cant of the holster can be adjusted to the most desirable position. 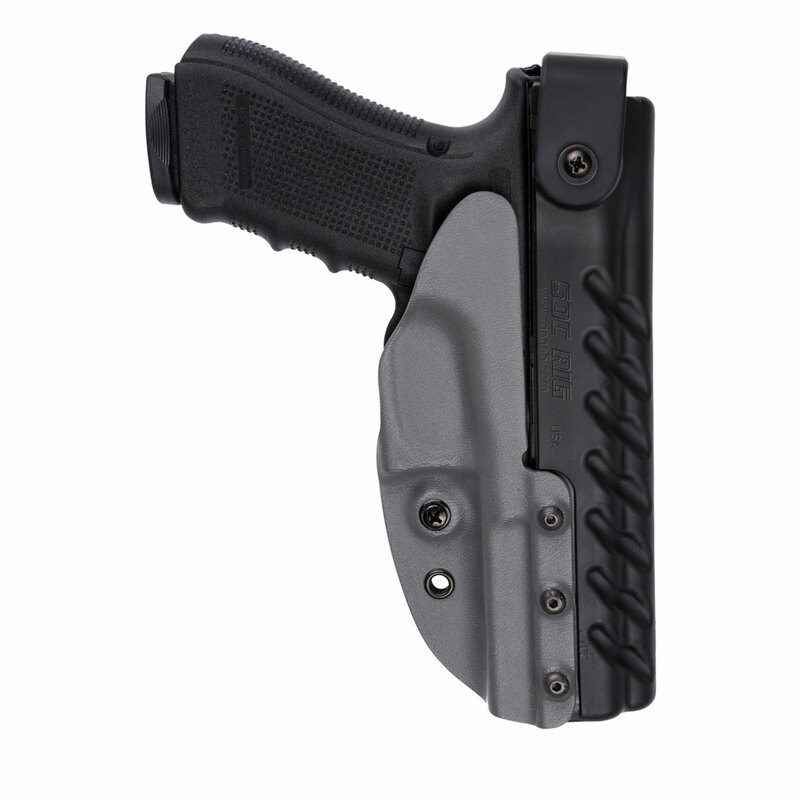 The design allows the user to transition the holster from one mounting option to another with unequalled precision. 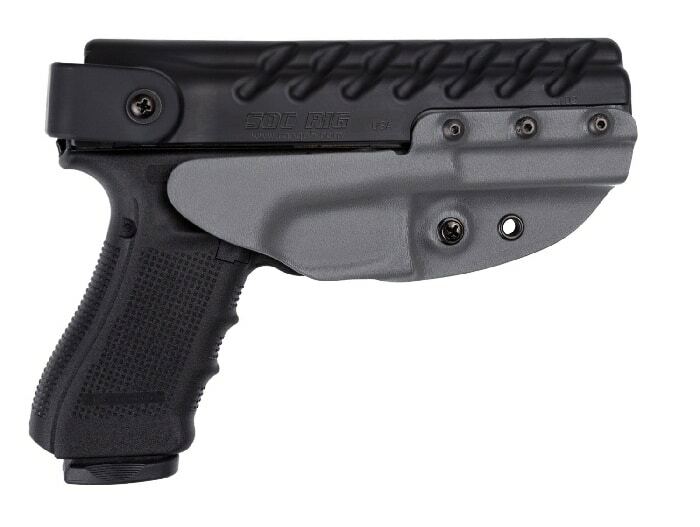 To use simply slide the plastic lock to the open position and insert the RTI holster. Slide the lock back to the locked position and the holster is securely in place. For many gun owners, the RTI is preferable because mounting attachments do not have to be purchased separately and a number of mounting platform solutions are available including pistol belts, battle belts, a standard RTI wheel mount, or MOLLE gear. Additionally, the wheel mount can be placed anywhere a screw can be drilled such as inside a car or under furniture. For those that do not require the heavy duty G Code holsters, the Operational Series-Light (OSL) is a great alternative. It’s perfect for plain clothes or off-duty carry officers as well as for competition shooting and tactical applications. 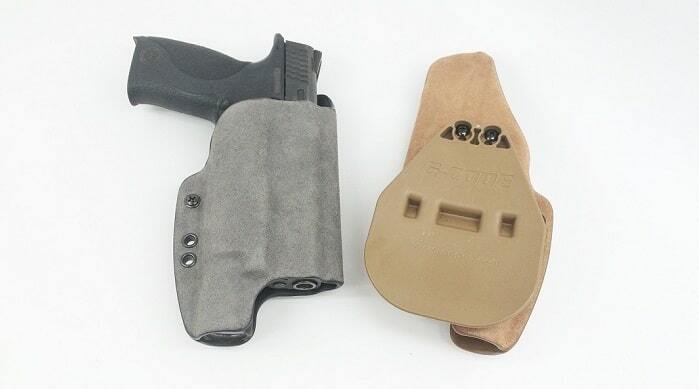 It is essentially a cross between the OSH and SOC holsters that are so popular today. Specifically designed for those that need to carry their weapon and light together, it is considered a precision level one holster. This is an important component when weapons are equipped with RMR’s or like optics plus, even though it’s lightweight, it’s just as fast as its OSH counterpart. 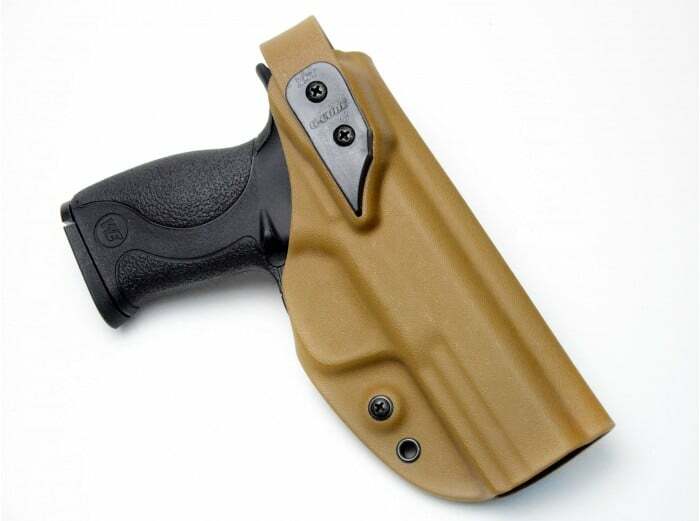 The OSL RTI G Code holsters, on the other hand, allows the user to instantly switch the holster to other RTI mounted configurations just as with the OSH options. Both are guaranteed for life and are made in the USA. For people inspired by features included in the OSH Series such as heavy use, precision formed fold and wrap design and adjustable pro-safe tensioning with second-level of retention, the XST series might be the perfect option. The over-the-top power-assisted retention canopy is a featured component of the XST design. It was created with combat in mind and is ready for the field once strapped on. Ample clearance has been added to accommodate night sights as well as raised suppressor sights. Additionally, extended threaded barrels are not a problem due to the open front design. Unlike some of the other options, accessories are not included such as the RTI Paddle Adapter, RTI H-Mar Molle Adapters for vest and plate carriers, and RTI Battle Belt Molle Adapter to name a few. The base price is $60.50 with accessories ranging from $10 to $52.25. Setting a new bar for G Code Holsters is the revolutionary SOC RTI Series. The design is unique in that different Kydex lower cowlings can be interchanged with a Molded Injection top frame. What that means is that lower cowlings can be purchased for the gun-only along with additional cowlings needed to accommodate weapons with mounted light combinations without having to pay for additional molded injection top frames. When multiple weapons and combination weapon/lights are utilized, only the lower cowlings will need to be purchased. The result is a significantly reduced price over time. The over-the-top power-assisted retention canopy then serves as a second level of retention. The unit is compatible with all RTI accessories and comes with an RTI mounting plate installed. You can purchase lower cowlings in a variety of colors, but the upper frame is available only in black. Price: $98.00 (for a basic unit without accessories). 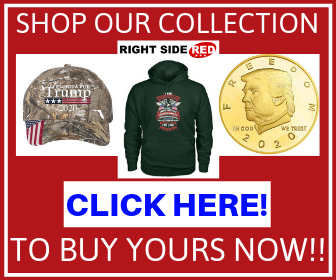 The best way to determine which G Code holsters best fits an individual’s immediate needs is to review options at a reputable site. Some of the many U-tube videos that demonstrate the use and characteristics of G Code holsters can also provide insight. 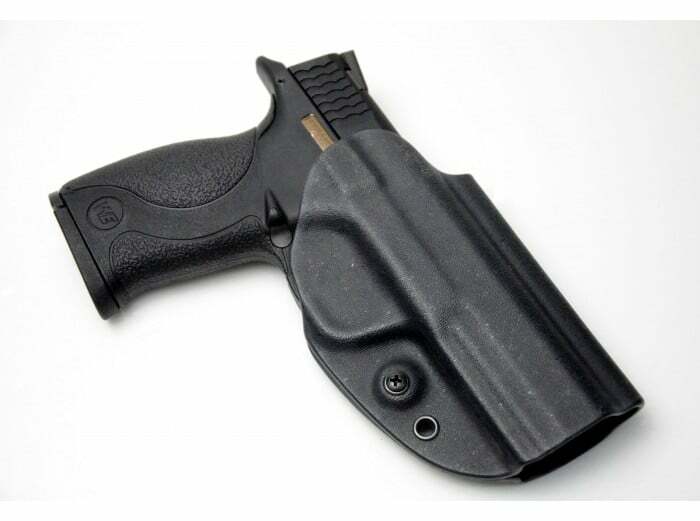 Selecting the perfect premium holster is one of the most important decisions you can make and now is the perfect time to make such an important purchase. 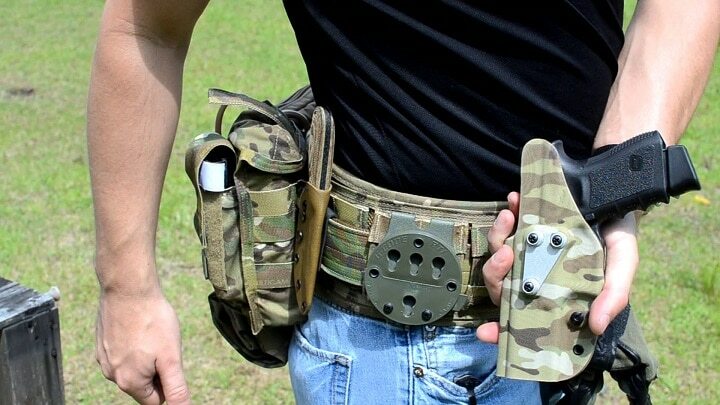 Hey Buddy!, I found this information for you: "Top 5 G Code Holsters and How to Use Them". 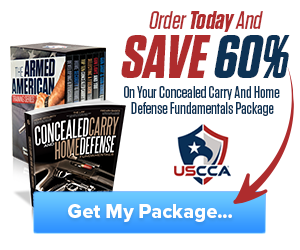 Here is the website link: https://thegunrights.com/g-code-holsters/. Thank you.